“Rudderless,” a feature-length movie filmed by OCCC students, will be the closing film in the Sundance Film Festival, through Jan. 26 in Park City, Utah. “Rudderless” was filmed in and around Oklahoma City and Guthrie. “‘Rudderless’ is not only at Sundance Film Festival, it’s the closing film of Sundance festival, which is really huge,” said Stacey Mize, film and video production major. The film boasts some big names: Billy Cruddup (“Almost Famous”), William H. Macy (“Fargo”) and Laurence Fishburne (“The Matrix”). Mize was the first assistant camera for the entire time the movie was being filmed. “The shoot was five weeks, so we were with them the whole time,” she said. John Marks, an OCCC graduate was the second assistant camera and also filmed for the entire movie. When asked how he felt about it being the closing film of the festival, Marks said it makes him feel great. “I am excited to see it, and hopefully it gets a good reception,” he said. The OCCC students were able to get involved with the movie because of the film program and their professors at OCCC. “The actually got in contact with us …, “ Mize said. You have connections built in with your professors. Mize said when she first came to OCCC she was unaware that movies were being made in Oklahoma. “Whenever it comes to making films in Oklahoma, it’s incredibly exciting to be a part of that to both stir the Oklahoma filmmaking community and to start being recognized on a national level as filmmaking partners among other cities …” Mize said. Both Mize and Marks attribute their success to OCCC’s film and video production program. Mize said what OCCC offers is really special. Marks said working on movies can be rewarding, but also is hard work. “If you want to work in the film business then you kind of have to realize that it is a lot of hard work,” he said. “It’s not glitz and glamour like people say it is. 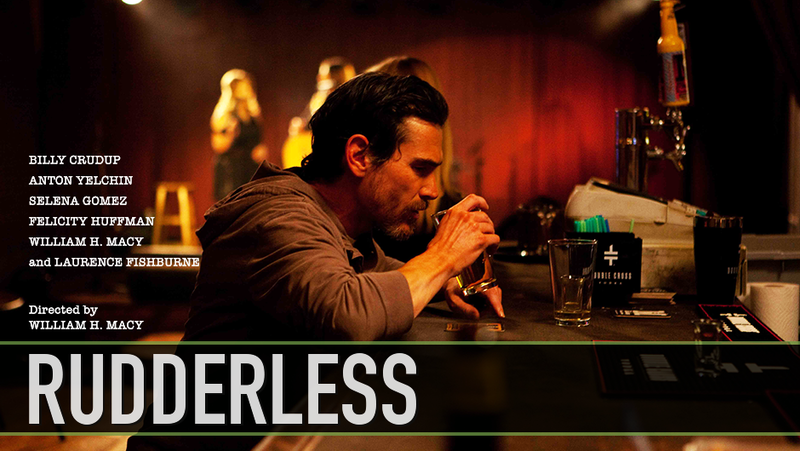 “Rudderless” is a drama about a man named Sam, whose life is dramatically affected by the death of his son. He turns to alcohol to ease the pain. Sam finds a collection of his son’s music and it allows him to feel reconnected with his son. Sam begins to play his son’s songs at a local bar after he has successfully learned all of them. An audience member named Quentin becomes involved in performing the songs with Sam and their band becomes popular, changing their lives forever. The Sundance Film Festival is a non-profit organization started in 1981 by Robert Redford. The purpose of the festival is to provide a way for independent artists to be discovered. The festival also is focused on supporting and inspiring filmmakers and artists all around the world so others can be exposed to their work. For more information about “Rudderless,” visit the Sundance Film Festival website at http://filmguide.sundance.org/film/13905/rudderless. For more information about the film and video production program, contact Film and Video Production Professor Greg Mellot at 405-682-1611, ext. 7129.